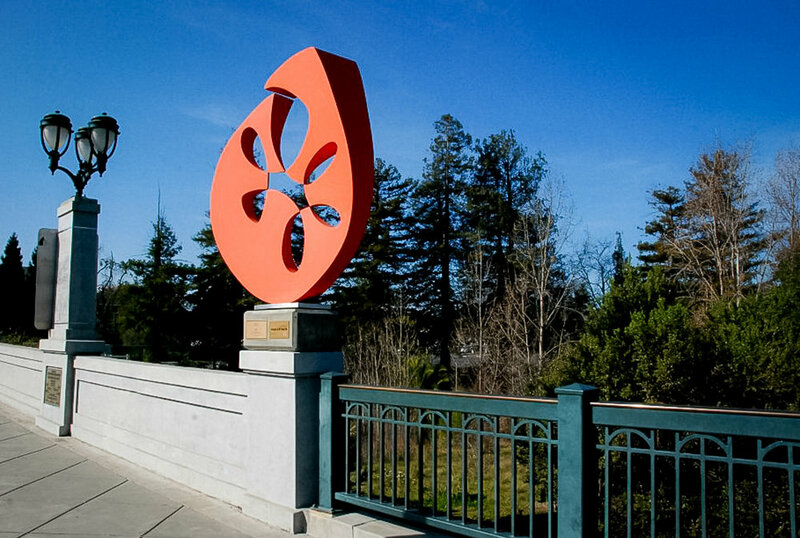 The second Napa Art Walk exhibition, "Momentum", showcased innovative artworks that are actually kinetic as well as those that imply or celebrate motion. Artists from seven Western states (CA, OR, WA, AZ, NV, CO, UT) were invited to apply and fourteen sculptures were selected by a jury of arts professionals.￼￼￼￼ The 2011-13 Napa Art Walk Jury Panel: Robert Ceballos, The Hess Collection Art Museum Director and Artist; Patrick Foy, Sculpture & Visiting Artists Liaison at The Oxbow School, Alan Shepp, Artist. The National Endowment for the Arts, The California Arts Council, Napa Property & Business Improvement District and Napa Tourism Improvement District. 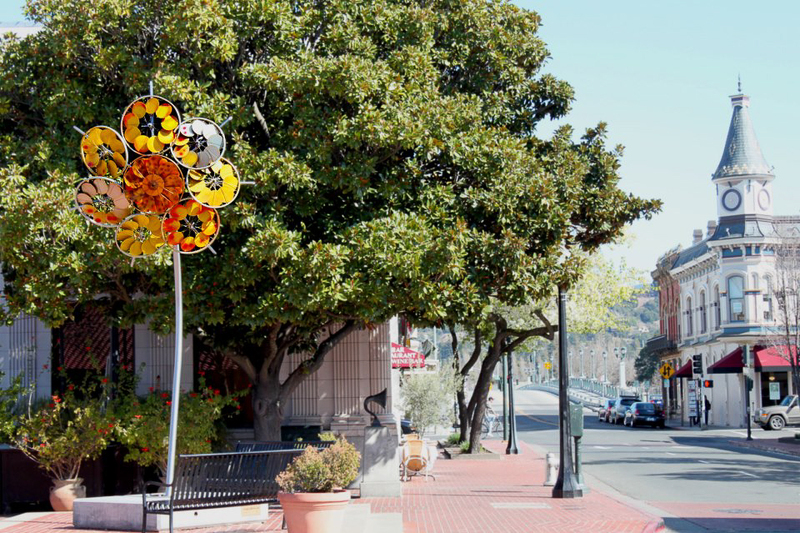 With additional support from: Napa City Public Works, Chandra Cerrito, public art consultant and owner, Chandra Cerrito Gallery (Oakland, CA), Barry Martin and KVYN/ KVON for creating the audio tour, and Michael Waterson, Napa County Poet Laureate 2010-2012.